Striker Jonson Clarke-Harris has become the third and final departure through The Ricoh Arena doors on deadline day after joining Bristol Rovers in a permanent transfer. In joining Bristol Rovers, Clarke-Harris becomes the second player today to swap The Ricoh Arena for The Memorial Ground with Abu Ogogo making the same switch earlier in the day, whilst Michael Doyle joined League Two side Notts County. 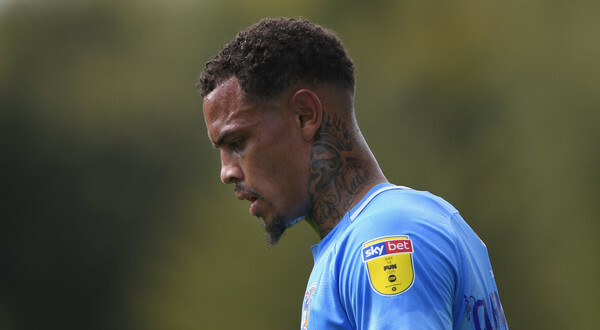 Clarke-Harris leaves having made 29 appearances and scored 6 goals in his second spell at the Sky Blues, having originally graduated from the Academy, and was part of the League Two promotion winning side, after re-signing for the club in January 2018 initially on loan from Rotherham United, before making it permanent in the summer. Clarke-Harris is also the youngest player to represent The Sky Blues, having made his debut aged 16 years and 21 days, coming on as a substitute in a League Cup loss to Morecambe Town in August 2010.